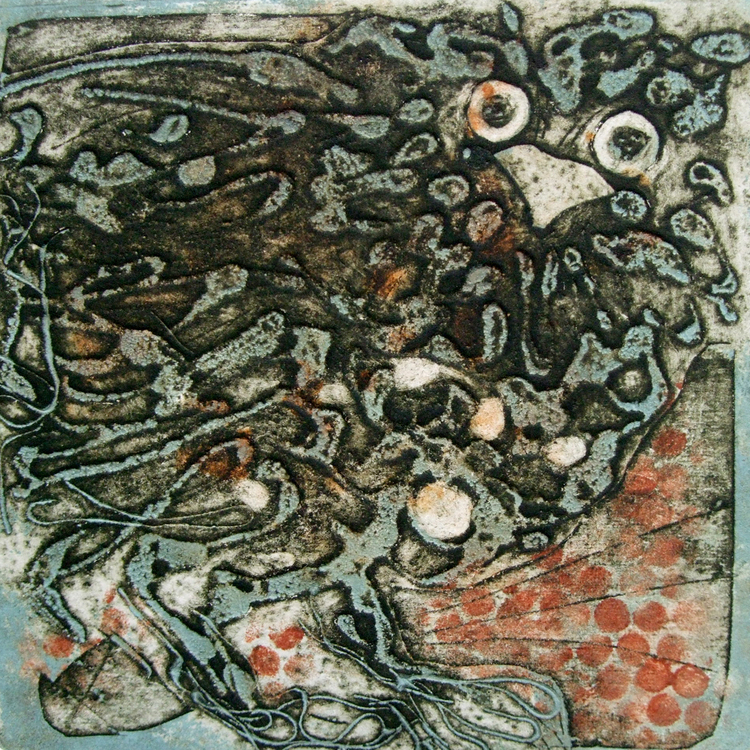 Ruth Barrett-Danes a well-established artist/printmaker who exhibits and sells her work in many galleries. 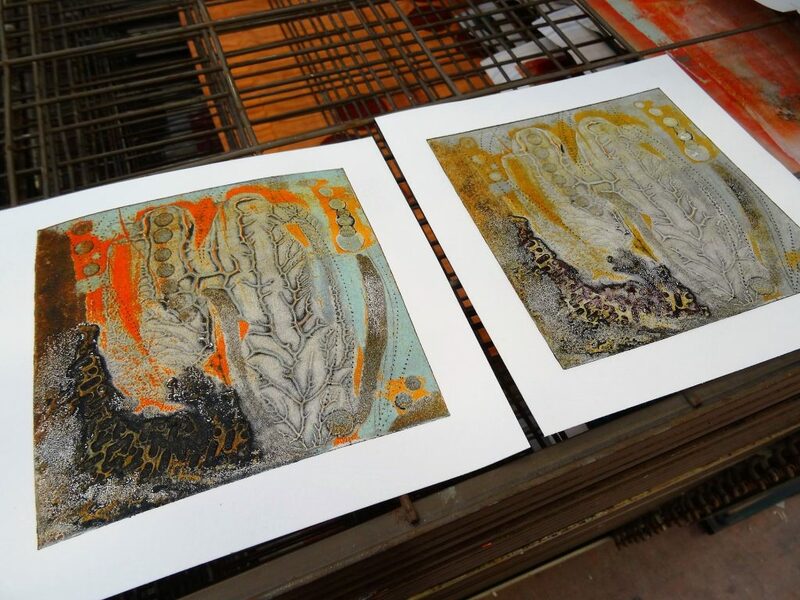 Collagraph is a printmaking process in which textured materials are applied to a rigid substrate (such as paperboard or wood) to make a plate to print from. During this two-day/weekend course, Ruth will use Environmount Board as the substrate for building textures and show you how to apply materials such as Gesso, plaster, tape and carborundum. The use of these different materials will give you the opportunity to explore some of the possibilities for creating collagraph plates. One of the advantages of using Environmount Board is that it allows for the addition of mark-making on the plate. Etching needles and other tools are used and will produce something equivalent to Drypoint Etching marks on the final prints. Ruth is also keen to demonstrate the potential of a Drypoint paper stocked at Ochre that allows for a greater freedom in the range of mark-marking and is useful in multiple-plate printing as well. So there will be lots of things to explore over the weekend and, along the way, Ruth will give you some pointers on working neatly within your inking space as well as sound advice on how best to ink up your collagraph plates.